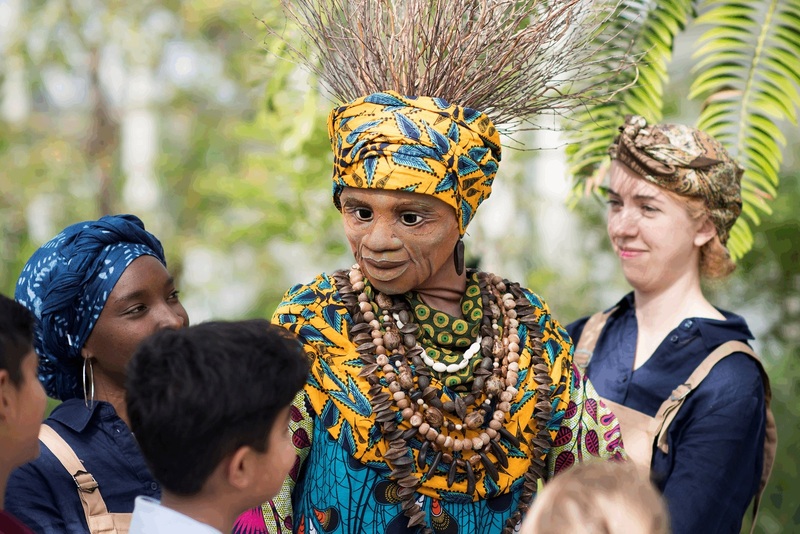 In October 2018, the Royal Botanic Gardens, Kew, welcomed Siyanda, the Protector of Plants. This week, the newest addition to Theatre-Rites brought joy and intrigue to the Royal Botanic Gardens, Kew. Protecting plants, educating families and sharing horticultural secrets, Siyanda engaged people young and old in the walkabout performance co-directed by Sue Buckmaster and Joy Haynes. To celebrate the reopening of the Kew Gardens’ Temperate House, Siyanda and her 3 accomplished Plant Protectors explored some of the 10,000 plant species growing in the greenhouse, where she has been a guardian for many, many years. From the extinct St Helena Olive, to the Encephalatos Woodii – the last male of its kind who has yet to find a female – our audience learned about what it means to be a plant protector like Siyanda and pledged their allegiance to the cause. 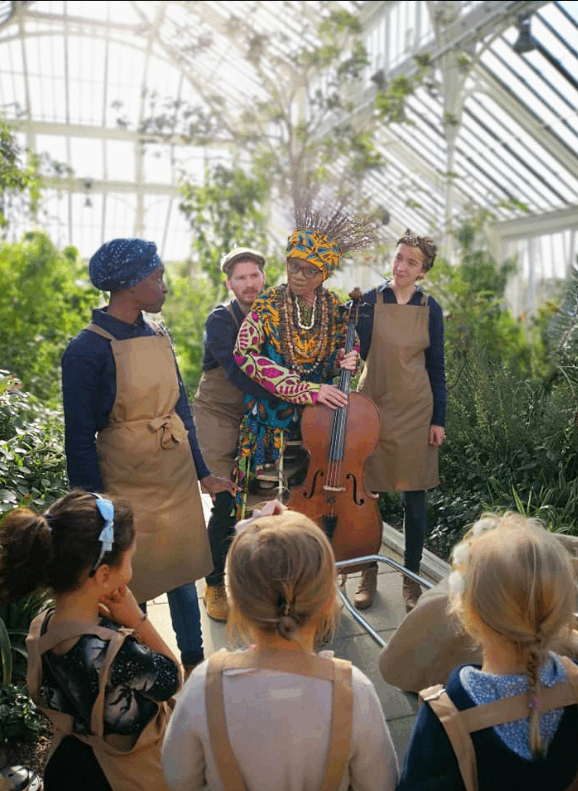 With over one thousand five hundred audience members during her residency at Temperate House, we are delighted to announce that Siyanda has successfully produced a new generation of Plant Protectors, who will aid her in her quest to preserve plants across the world.